Let these Quotes about Life Being Hard help you to understand the true nature of life, and then to create a life of joy and purpose. In spite of unseasonable wind, snow and unexpected weather of all sorts - a gardener still plants. And tends what they have planted ... believing that Spring will come. I gather strength from life's storms. I hold my course with focused attention and relentless commitment, as I weather the storms of life. 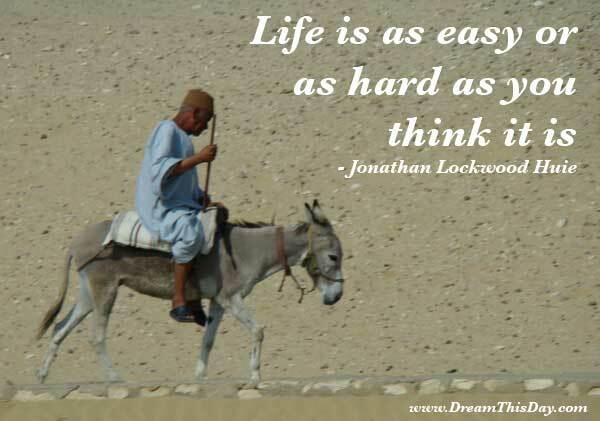 Thank you for visiting these Life is Hard Quotes. See some Never Give Up Quotes.